Each one of us deserves to be safe in our home. You can do many things and precautions to prevent unwanted people or intruders from entering your home. For example, installing deadbolt locks or putting extra security lights. Even the simplest household items can help to protect you in a situation where an intruder enters your home but ideally this how to guide will help you avoid this situation altogether. Just remember if you ever feel threatened and you know there is an intruder trying to get in or is in the house then always call 111. Here are some tips which can be helpful to you and especially for women who live alone. Secure all your doors and windows by installing locks. Opt for deadbolt locks as the chain locks can break easily. 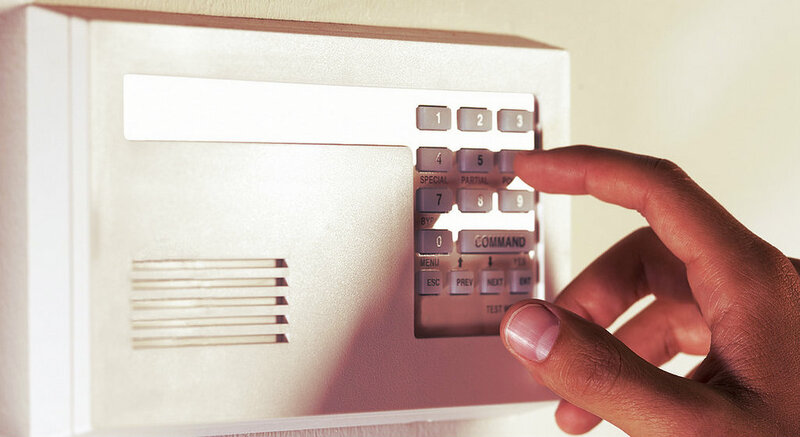 Install a quality home alarm system which can also be set if you are in the home asleep at night. Make sure to choose an alternative place to hide your spare key outside your house. Avoid putting your keys under a doormat or a flowerpot. You should install lights in front of your house entrance and the back of your house. The other place you should also install the lights are outside the garage, and along the walkways to your front door and back door. For large area coverage, choose motion sensor lights. If you are renting a house, you should request well lit and secure stairways, laundry rooms, garbage areas, elevators and basements. Turn more than one light on if you are alone in the house. Avoid using your full name on the message machine or stating that you are living alone. You can use initials on your mailbox and in the phone directory. Adopting a dog is a much cheaper way if you can’t afford to install home security systems. But, if you can’t do either one, place a sign such as “beware of the dog” near your entrance or put a food dish with a vicious dog name on it. When there is a knock on your door, always check in the peephole first. Ask for identification if someone comes to your door and claims to be a repair person, or salesman. If you are feeling something is not right, call the company for proof. Do not let a stranger be inside your home even if he/she is asking to use your phone. If you are alone, it’s best not to open the door. But if you already answer the door, inform that you will make the call yourself. Get to know your neighbors living nearby your home. You will never know when you are going to ask for help when you have an emergency. You can use boiling water, cleaning supply, hairspray, and hot coffee to fight an attacker. You can protect yourself from the attacker blows with the photo album, backpack, large book or briefcase. © 2012 DIYit. All Rights Reserved. www.diyit.co.nz Part of The itNetwork Ltd. Copyright © 2017 DIYit. All rights reserved.